"Bullying" occurs when you are repeatedly harassed or intimidated by another student. Bullying includes threats and nasty remarks as well as physical actions like pushing or hitting, written conduct, and damaging your property. It is considered bullying if the other student's words or actions prevent you from doing well in school or enjoying after-school activities, or if the conduct substantially interferes with your physical or psychological well-being. Bullying also includes electronic communication, such as that transmitted by a landline telephone, cell phone, computer, or pager. This is often referred to as "cyberbullying." Bullying is conduct that occurs on school property, at a school activity or event, or on a school bus. Conduct that occurs in other places is also considered to be bullying if it substantially disrupts the orderly operation of a school. How can you help someone else who is being bullied? Can I fight back if someone bullies me? Bottom line: if you're being bullied, tell your parents, school officials, or the police. 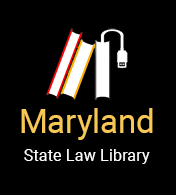 Effective October 1, 2013, "Grace's Law" amends MD Code Criminal Law §3-805. "Grace's Law" prohibits a person from using an “interactive computer service” to maliciously engage in a course of conduct that inflicts serious emotional distress on a minor or places a minor in reasonable fear of death or serious bodily injury with the intent (1) to kill, injure, harass, or cause serious emotional distress to the minor or (2) to place the minor in reasonable fear of death or serious bodily injury. An “interactive computer service” means an information service, system, or access software provider that provides or enables computer access by multiple users to a computer server, including a system that provides access to the Internet and cellular phones. A violator is guilty of a misdemeanor and subject to imprisonment for up to one year and/or a $500 maximum fine.